Come celebrate with June’s sundae of the month. 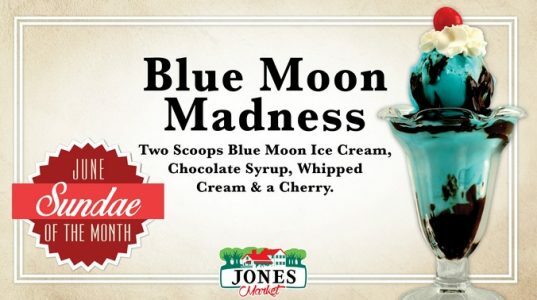 Two scoops of Blue Moon ice cream, hot fudge, whipped cream and a cherry. YUM! You can also pick up fresh products that you can’t get anywhere else. If you’ve visited us before, it’s time to come again! We’ve tripled the size of the store, so we can offer you even more fresh products along with a bit of nostalgia. It’s time for Summer Reading at the Dwight Foster Public Library in Fort Atkinson! 1. Starting Friday, June 9, visit the library to register and pick up your reading record. 2. Complete the activities indicated in the reading record and visit the library to collect prizes. Participants will receive prizes after finishing 5, 10 and 15 activities. 3. After completing 15 activities from the inside of the reading record, participants may continue tracking reading hours to earn chances for the grand prize drawing. Readers will earn one grand prize entry for every five hours read. All reading must be logged by July 29. It’s time for Summer Reading Program at the Dwight Foster Public Library in Fort Atkinson! 1. Starting Friday, June 9, visit the library to register and pick up your reading record. The last day to record is July 29. 2. Keep track of your reading activities on your reading record. Readers in preschool through fifth grade will complete game boards and then track their extra reading time. The youngest readers from birth to 35 months will complete age-appropriate early literacy activities. 3. Visit the library throughout summer to collect rewards. Your participation will also help your school in the competition for the “Summer Reading Stars” travel trophy. Jefferson Chamber of Commerce is excited to sponsor Ladies Night Out! 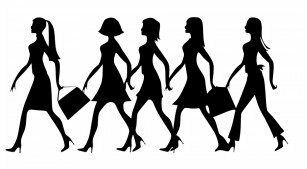 Come out with your girls and shop from our rich local businesses while enjoying refreshment and samples. The night will start at the Jefferson Chamber of Commerce where you will be given a bag for you to shop with and a guide of the businesses participating for you to get stamped along the way. You will then be given til 7pm to shop the businesses, where you will be given raffle tickets to be put into a drawing at the end of the night for prizes. To be entered into the grand prize you must have your guide completely filled out. At the end of the night we will all gather at Vetro Winery to pull raffle prizes and to pull for the grand prize, a $100 chamber gift certificate you can use at many of the businesses in Jefferson. To win the raffle prizes and the grand prize you must be at Vetro Winery.